This tactical boot measuring 8 inches is ideal for those who are always on the move. 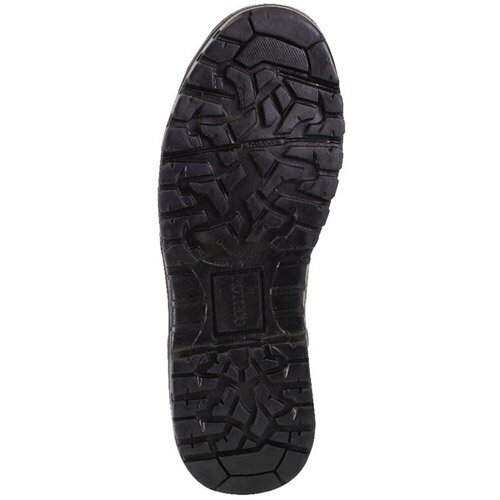 Easy to slip on to the feet, this Forced Entry boot is designed to offer optimum strength and support to the feet and keep it warm and dry. 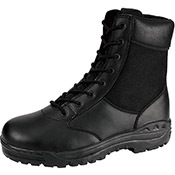 This boot is ideal for law enforcement and military officers. Some of the salient features of this boot include the speed lace design, rust-proof hardware, moisture wicking lining, gusseted tongue and side zip that makes it easier for the wearer to put on the boots. The 8 inch high boot prevents the ankle from twisting and rolling and maximum ease of movement is allowed for by the action leather upper. I got these boots because I had a knee injury that made regular footwear difficult. I really liked the side-zip because you don't have to fiddle with the laces every time. I also liked the sound they made, not as loud as other boots but very firm. I would have liked to have gotten more than a year out of them though. Next time I need boots these will be top of the list. Good for the price.